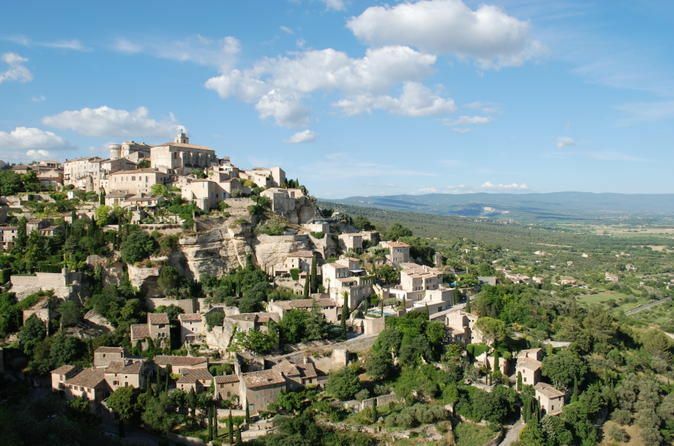 Start with a panoramic tour of Toulon with your private driver. See the old town, the Cathedral, the Opera House and the Upper town. Continue to Marseille and visit the highlights of the city like Notre Dame de la Garde Basilica, the highest monument of Marseille, the old port and the historical center. Observe the Palais Longchamp (Water Castle) of this city that was the European Capital of Culture in 2013. Meet your driver at the Port and start your sightseeing of Toulon. Due to its strategic location, Toulon is an important military port in France. It was often used during wars. During World War II, the French sunk their own fleet to prevent it from falling into German hands. The city has a well preserved historic center with its narrow streets, and market squares. Next, head to Marseille and visit the stunning basilica of Notre-Dame de La Garde. Situated on the foundation of an ancient fort, this building rests on the highest elevation in the city overlooking Marseille. Admire the panoramic views of Marseille and see the highlights of the old town. Walk along the Vieux Port dotted with shops and restaurants and see the medieval monuments and historic buildings of Le Panier, the city’s oldest neighborhood. Have some time on your own, before your driver will bring you back to Toulon/La Seyne port of cruise terminal.